The new Zagat book hopes it will guide you through the tough waters of cheap eating. Just in case you didn't know where to go to get good food for cheap in the Bay Area, there is now a guide for that. 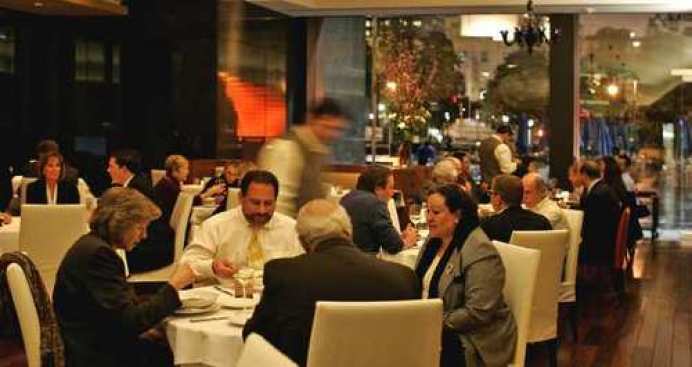 Our friends over at the Zagat Survey just released its first San Francisco Dining Deals guide, which covers 241 restaurants in the city and wine country that offer especially great values for diners. The guide rates and reviews restaurants based on a survey of of 8,755 diners. Zagat says the book "is designed to show diners how to get the best values when eating in the Bay Area." The book breaks down several restaurants by category. For example it has a section about eating for cheap, which lists many area restaurants that offer dinner for less than $30 and lunches for less than $20. There is also a section that helps the curios explore ethnic food across the city. The guide will help you navigate what Chinese restaurant to hit up in Chinatown what Indian joint to eat at in the Tenderloin and what burrito shop really stands out from the rest in the Mission. All of the ratings and reviews from the guide can be found on Zagat's Web site or through its mobile apps. Zagat's San Francisco Dining Deals guide is available at all major bookstores. The book also gives diners a list of helpful hints to both trim costs and their waist. Ask the sommelier for "the best wine at the lowest price"